Although it may seem superficially stick-insect like, this is not a phasmid, but a proscopid (a kind of grasshopper). 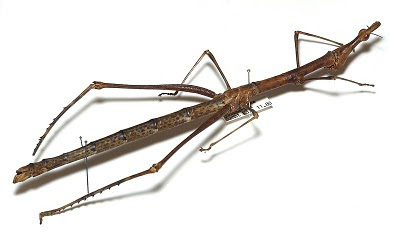 They are found in South America, and unlike true stick insects they can jump. Other distinguishing characters are the forward-facing head, head-shape (eyes are situated well above the body) and the relatively long rear legs. Although the differences are quite clear, a lot of people who should probably know better have been caught out over the years. 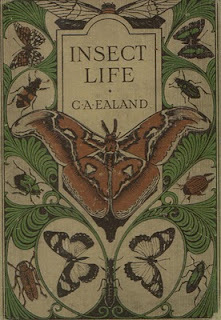 Although the cover of C. A. Ealand's book is beautiful, his knowledge of what makes a stick insect a stick insect is sadly flawed. 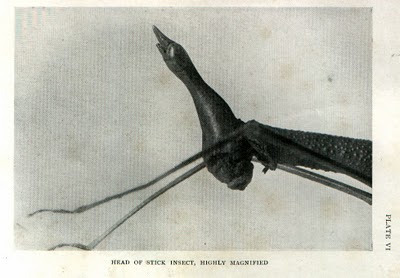 The close-up photo of the head of the stick insect is clealry actually a proscopid grasshopper: Head forward-facing (or vertical), eyes well above the body. Despite this in the text the head of the Phasmidae is described as "nearly horizontal, generally quadrangular". Some other inaccuracies are "they moult but twice" - in fact five is about average, between 4 and 7 common. I have never had confirmed reports of less than 4, but more than 7 is not that unusual - especially when the insects are poorly nourished. I might write more about Ealand's account of the Phasmidae another time. 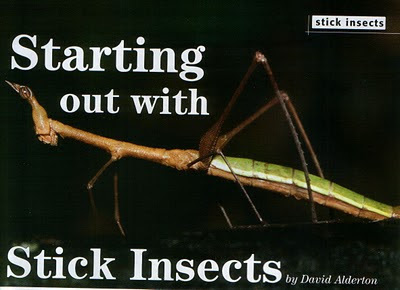 More recently in the first issue of the magazine Practical Reptile Keeping a photograph of a proscopid was used to illustrate an article on stick insects. 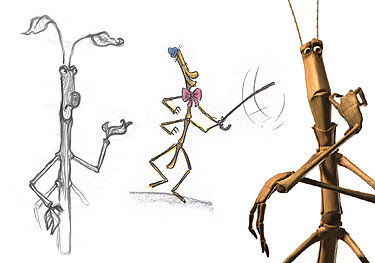 My final example is Slim from A Bug's Life - phasmid or proscopid?